Doesn’t the title alone make you cringe? I lose my patience with my boys and yell, snap and say completely ridiculous things, like, “If you don’t stop that, I’m going to hang you by your toe nails!” often with a nasty tone. Do my kids think I would do such a thing, probably not. What in the world has me uttering such menacing words? Be truthful, you yell, scream and say bizarre threatening phrases too. It’s convicting of where I fall short and struggle as an effective parent. When my patience is gone no one wins. Because, there is the lingering guilty feeling from my reactive behavior and my kids feel the sting. Practicing patience is an art form or better known as a virtue. It’s a skill of morale excellence and self control (another virtue). Virtues don’t suddenly arrive. We have to earn them through practice, effort, thought and some sweat and tears. Unfortunately, when the stork dropped our bundles of joy he didn’t give us auto-patience. But, patience we must have if we are to be the empowering parents we want to be. Why is it so important? A general constant lack of patience creates a tense environment, possibly producing anxiety in our children and establishing unhealthy relationships. We all desire warm, positive connections with our kids, but if we are in a perpetual state of annoyance with them (or the world), we are then disconnecting from them. I want to enjoy this ride of parenthood, don’t you? 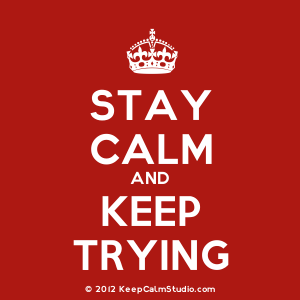 Remaining patient allows me to savor the sweet moments and find strength when I want to have my own tantrum. Losing patience with our children often has less to do with their actions or behavior than it does with us as individual adults. Children can and will test a parent or teacher’s emotional boundaries, but how we handle those emergency broadcastings is the difference between behaving like a trusting adult, modeling appropriate behavior or lashing out like a toddler. Join me in practicing, patient parenting through these three helpful tips. 1. REST Get your rest anyway you can because the #1 reason everyone on this planet loses their poise is feeling tired, fatigued or sick. Sorry, sleep is not overrated and keep in mind restricting sleep is used as a torture technique for a reason. It’s to break a person’s will, self-control and sanity. If you need that midday nap for 20 minutes to go the extra 10 hours in the day with a calm disposition, do yourself and your kids a favor- get the sleep. 2. MANAGE SENSE OF URGENCY If you find each day you are bribing or badgering your child to get ready for the day and dragging them by the shirt collar to get to work on time, your patience has already been lost before you walk out the door. If it’s the morning madness you are coping with be proactive and manage it before the morning by reducing distractions and creating focus. No TV in the morning and give a short, simple check list to your child the night before. Kids feel accomplished as they cross off each task. Be sure to acknowledge their efforts even if they did not complete the list but you see them trying, and allow them to try again the next day. 3. FORGIVE & REFLECT When you do snap, scream, yell and threaten, be sure to apologize for your behavior. Do not give into the “mommy guilt” with overt gestures. Pacifying your guilt by buying the latest video game does not equate to a meaningful apology. What you owe yourself and the child is a sincere apology and some retrospective thought. Give the situation some attention, “How could I have handled that situation differently?” Hopefully, we can learn from the mistakes we make but do not obsess, that is not true forgiveness and stifles growth and change. The beauty of practicing patience is that we never truly arrive, unless you are the Dali Lama. We will always have those obstacles to push through, but if we keep practicing with the goal of being the parent we really want to be, I believe we will reap the reward of having a more loving relationship with our children. Remember, love is patient! Pete is the new kid learning, “The kids in his new school are way different than at his other school.” Everyone is talking about the “Promise” but will Pete join the group or continue to be odd man out. The Juice Box Bully is a realistic journey of a bully and the real power students have when standing up for each other. Bob Sornson and Maria Dismondy present this book for primary grades, encouraging empowering choices under stressful interactions and giving children concepts related to bystander behavior. Recent studies are confirming, students are the real solution to abusive and bullying behavior in schools. They have the power to set the tone of what is acceptable in their social settings. Yet, they often lack the skill set to make empowering choices. 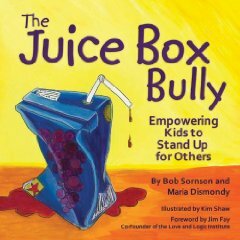 The Juice Box Bully is an excellent resource for students and teachers to discuss real life situations and how to make appropriate choices. TSC just did a lesson to 1st & 3rd graders in a Camden Charter School using the book, “Cool Down and Work Through Anger.” This wonderfully written book is by Cheri J. Meiners. It is a fantastic book for showing children how to help deal with anger. 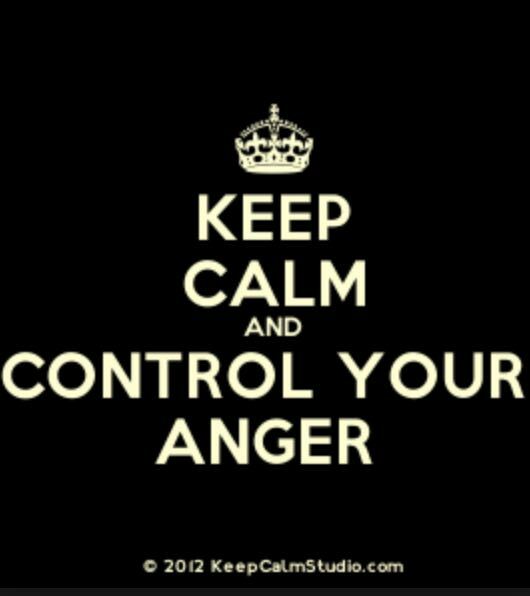 There are many reasons for getting angry but how one chooses to deal with the feeling of anger is the key. This book gives the reader wonderful scenarios, discusses the feelings/emotions of anger, and discusses the choices we are faced with when dealing with the emotion of anger. The best part are the tips offered to children to help manage their anger. This book is highly recommended to any parent or educator of young children. A great choice for children learning how to deal with anger. Anger is a normal human emotion we all have and dealing with angry children is the most challenging job of a parent or teacher. Anger is sometimes a child’s way of declaring independence. You can help children in the heat of the moment by recognizing the emotion of anger: “I can see that you are angry right now.” Help children recognize the triggers that set off the feeling of anger— what situations make them want to scream, shout, and stomp their feet with a pounding heart and heavy breathing. Learning how to deal with anger is a skill that can take a lifetime to develop. The tips above will help children master their feelings of anger. It is never too soon to teach children how to control anger so the anger doesn’t control them. These strategies may be difficult; however, with guidance and lots of practice, these tips can help children acknowledge anger and resolve conflicts peacefully.